At this special Stargazing LIVE Night, come along to see the telescopes, get involved in our lab activities and enjoy our planetarium shows. 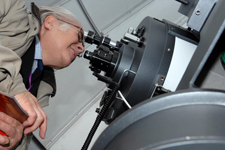 Bayfordbury’s open evenings are a great opportunity to visit a working astronomical observatory and see some expert demonstrations from our researchers and students. This event is one of a series of special events being held all around the country as part of the BBC Stargazing LIVE event to encourage everyone, from the complete beginner to the enthusiastic amateur, to make the most of the night sky. 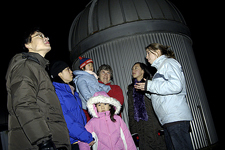 These open evenings are ideal for everyone, from children to adults and budding amateur astronomers – so come along and find out so much more about our star-studded skies, planets, galaxies and, of course, our Universe.